Abby created a fun Christmas cookie garland, but sadly didn't get it done in time for Christmas. She is planning to put it away until next year, but I think it would be a fun birthday party decoration, especially for a cookie decorating party! Or you could use the idea and change it to faux heart shaped sugar cookie for Valentine's Day. 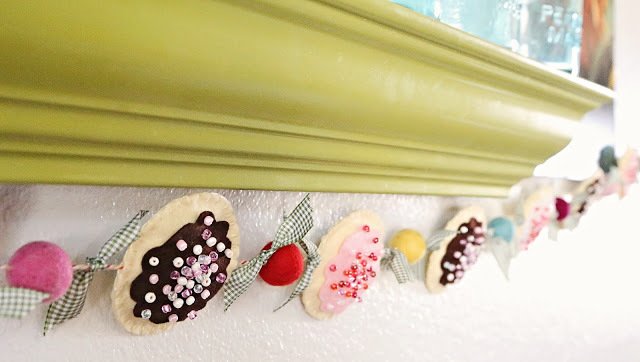 You can check out how to make a sugar cookie garland over at A Feathered Nest.